Earlier this year I proudly became an Ambassador for Liv, alongside other amazing female athletes like Helen Jenkins and Charlotte Cooper. Two weeks ago Christmas came early for me as I headed up to Liv UK to pick up the brand new race bike that I will be racing on for 2015. 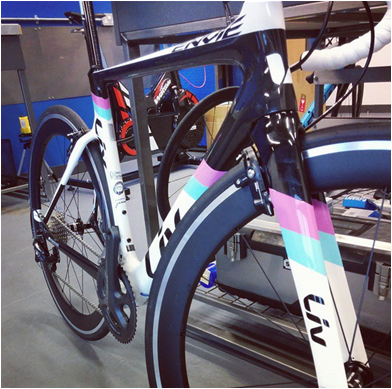 I was equipped with the Liv Envie Advanced tri, a stunning looking bike from this year’s Liv range. The Envie Advanced has an Advanced-Grade Composite frame with Advanced-Grade Composite fork with Hybrid OverDrive Steerer which makes the bike aero and FAST. Also, amazingly, the Giant P-SLR 1 Aero WheelSystem which has had amazing reviews with the aluminium rim but still as light and speedy as full carbon race wheels. 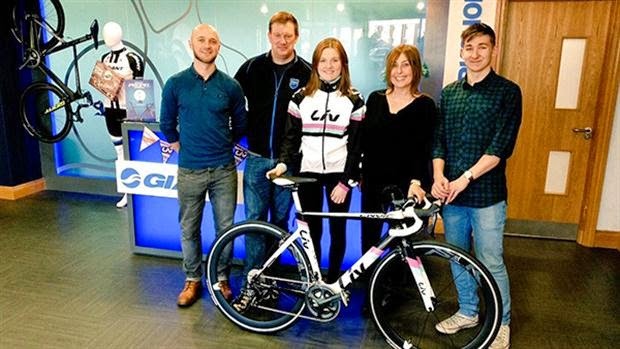 At Giant and Liv HQ I was set up on the bike by David Ward, Giant UK Product and Training Manager. I was looking at two sizes the XS and S. As I am 5ft 6 inch and long legged, we found the small was the best bike for my optimum position. For any Women (or small men) looking for a new fast stylish bike, this bike is for you. It’s great value for the amount of amazing equipment you get, you won’t just look and feel fast you will be fast whilst looking good doing it. After a great few hours the bike was ready and set up to go home, I was so excited to go for a spin. I would like to say a MASSIVE thank you to Ricki, Collette, David and everyone at Liv and TheBike Yard for their continuous support.